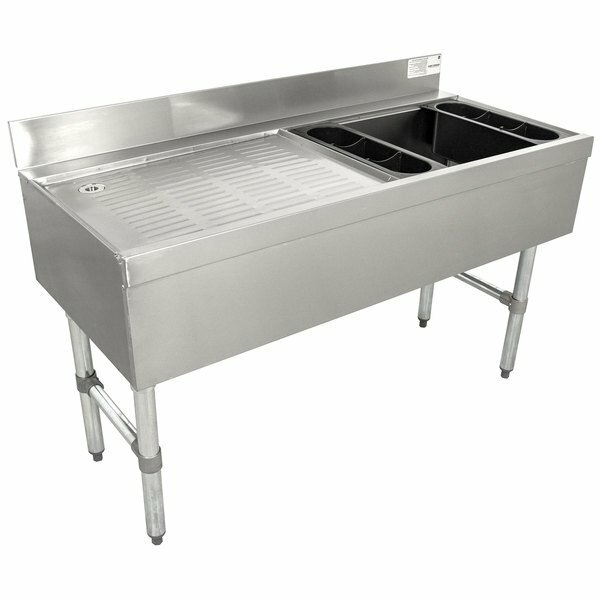 Maximize the efficiency of your drink-serving operation with this unique Advance Tabco CRW-4R stainless steel ice bin and drainboard combo unit. 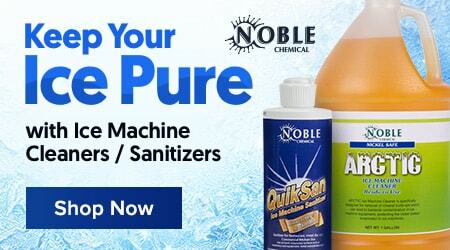 An 8" deep insulated ice bin is located on the right side and paired with a 24" seamless, embossed drainboard to give your staff everything they need to prepare drinks with ease. The ice bin boasts a capacity of 35 lb., and a 4" backsplash serves to protect nearby walls and floors. For further convenience, an integrated rear deck adds extra storage. Two removable injection molded 3-pack plastic bottle racks are included as well, making this versatile unit perfect for use in your commercial restaurant or bar.